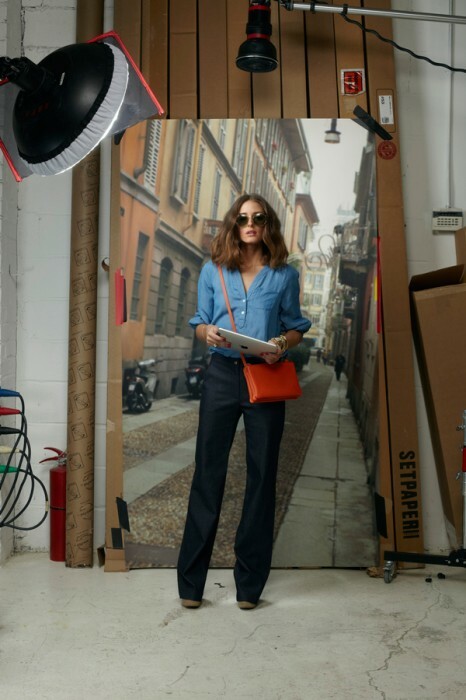 Olivia Palermo is shown modeling some of Tibi's Spring 2011 looks and a reader wrote in wondering if I could recreate some of them for less. I wasn't able to do all of the looks she sent in, and substituted some of them for others. Here are the Tibi looks and my version of them, click on any image for more information unless otherwise noted! Tibi pants ($319), silk tank ($160), sleeveless blazer ($682), and oxfords ($290). Click HERE for the shoes shown below and HERE for the handbag. Click HERE for an alternative shirt option. Click HERE for an alternative dress option and HERE for the coat shown (which I realize is pretty different but I had a difficult time finding something similar to the suede tiered coat she's wearing). These are great!! Thanks for posting! 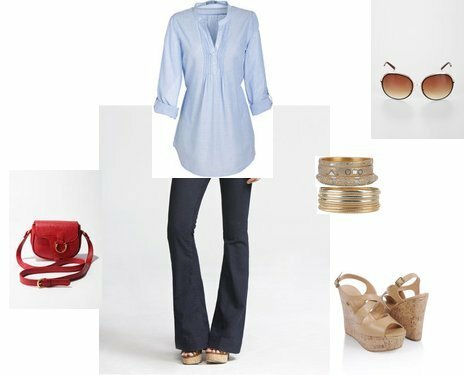 I am in love with the simplicity of the chambray shirt, jeans, and red crossbody. Definitely getting this look! Love the Tibi tunic and dark denim! It looks so comfy and stylish too! Could totally be my Friday look!! I love that Tibi jacket! Great post...I'm really liking the color red right now. It's nice to see ways to find an outfit just as cute, but for a fraction of the price. Following, You have a really good blog.